Click the image above to donate today! A $50.00 donation fee = 1 ticket. 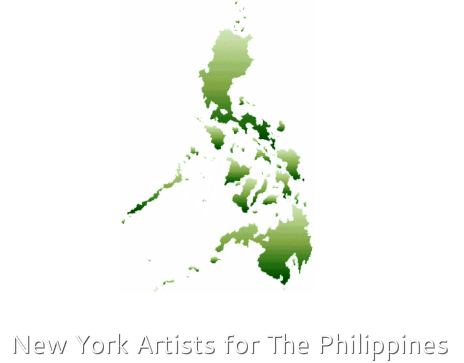 To reserve your ticket(s) please email us at nyartistsforthephilippines@gmail.com with your requested number of tickets. You will receive an email confirmation with your ticket reservation. You MUST bring your receipt of donation as proof of ticket purchase on the day of the event. There will be a detailed list at the door. There are 180 tickets available, so please keep in mind it will be a first come first serve basis. *We will be updating the website to notify when they are sold out.